Though nearly a decade has passed, Melody Bodnarchuk still remembers the night her nephew was killed very clearly. Brett Yasinsky, 22, was living with her and her husband at the time, and had left to pick up his girlfriend to go to a movie. When his girlfriend called the house 45 minutes later, Bodnarchuk knew something was wrong. "Immediately, I had a bad feeling. He should have been there in 10 minutes," she said. She asked her husband to get a ride from a neighbour to see where Yasinsky was. "At that point, he found our red car completely bashed and Brett had been gone, already taken to Seven Oaks Hospital," she said. When she found out the other driver had been impaired at the time, she said she was "disgusted." "I thought, who let him out like that? Who let him go with those keys and get in a truck?" 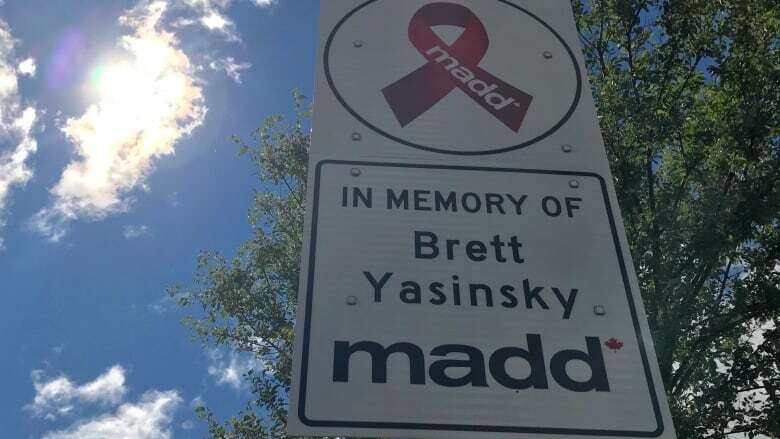 A new permanent roadside memorial was unveiled Wednesday at the site where Yasinsky was killed by a drunk driver in 2010. The memorial is located at the corner of Grassmere Boulevard and Highway 8, just north of the Perimeter Highway. It's the first of its kind in Manitoba, and Bodnarchuk hopes it serves as both a tribute and a sobering reminder not to drink and drive. "I'm really hoping that they'll take note of his name. He was an important soul on this earth and was taken away so quickly and so violently," she said. The driver, Brad Skawretko, was sentenced to 2½ years behind bars in 2014. Brett's mother suffered a heart attack shortly after his death, and died of cancer last year. She was 54. Bodnarchuk said she thinks the stress of her son's death was detrimental to her sister's health. 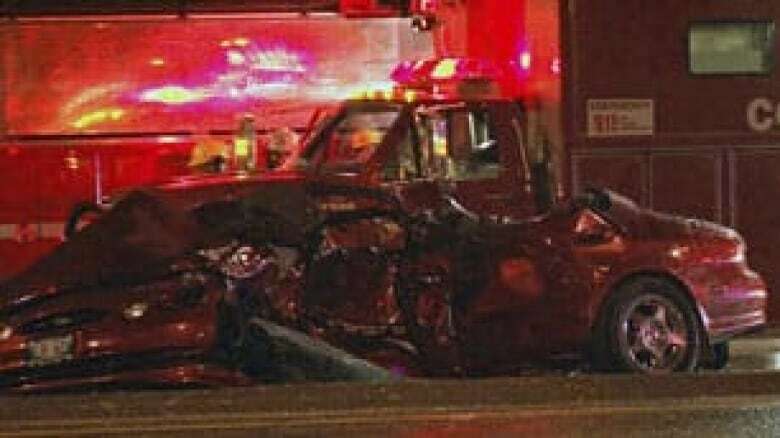 Bodnarchuk, a former president of MADD Winnipeg, said she thinks people know drinking and driving is wrong, but just think they won't be impacted by it. "I think the message is out there but everybody has this strange notion that it's not going to happen to them," she said. "And I'm here to tell you that if I ever thought that, I certainly know better now, and I would heed that warning, because it does happen."